The Retromobilist - Question: Is the Fiat 124 Spider Abarth the coolest police car ever? Home » Question: » Question: Is the Fiat 124 Spider Abarth the coolest police car ever? Question: Is the Fiat 124 Spider Abarth the coolest police car ever? 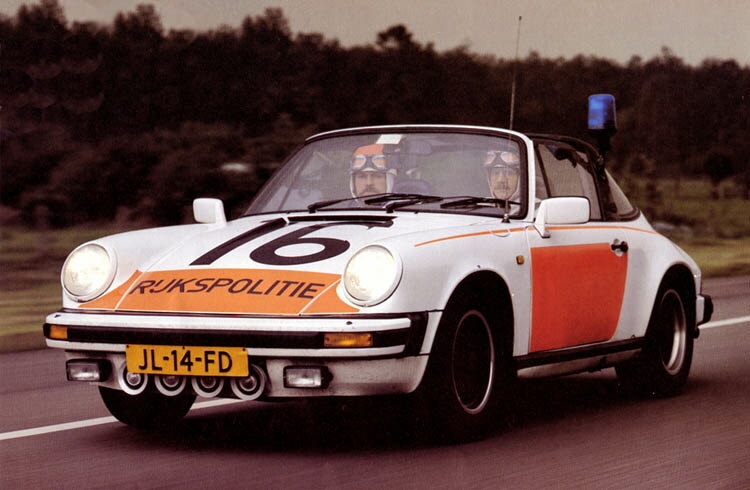 Always being under the impression that the Dutch national police squad (to be precise the KLPD) only ever used Porsches (like this one here) as their motorway stormer I was surprised to bump into a few pictures of a Fiat 124 Spider Abarth kitted out as a proper police car. Story goes that the dutch police bought two of these Spiders in 1974 for a trial to see if they would be suitable as a fast car for motorway patrols and so on. In the end the police decided to go for the Porsche option (which was faster and in their eyes more practical and less susceptible to depreciation). The Fiats patrolled the Dutch roads up to 1977 after which they were pensioned off. According to sources the two cars were on the Dutch Fiat 124 Spider register for years but have since vanished without a trace. Photos are also rare, apparently the ones in this post are one of the few ones left. Click read more to see some more. Helmet, goggles, that policeman really looks at home in the Abarth..